When River began school this year, as a First Grader, I knew he'd use the same math and grammar his older siblings had used. After seven months I'm confident that he's doing wonderfully with those programs and all is well. One area I've never really gotten a handle on, though, is science and history. We do it, but I've not found a routine with those subjects that fits right in with everything else we're doing. They far too often get moved to the bottom of the schedule and some weeks they are left out completely when we run out of time. So I didn't have a grand plan for River for those subjects. When he and I were asked to review Visual Learning System's Digital Science Online: Elementary (k-5th grade) and Secondary Editions (6-12th grade) I was more than happy to say, "yes, please", in hopes that this would be the answer to my "making it a priority" struggle. 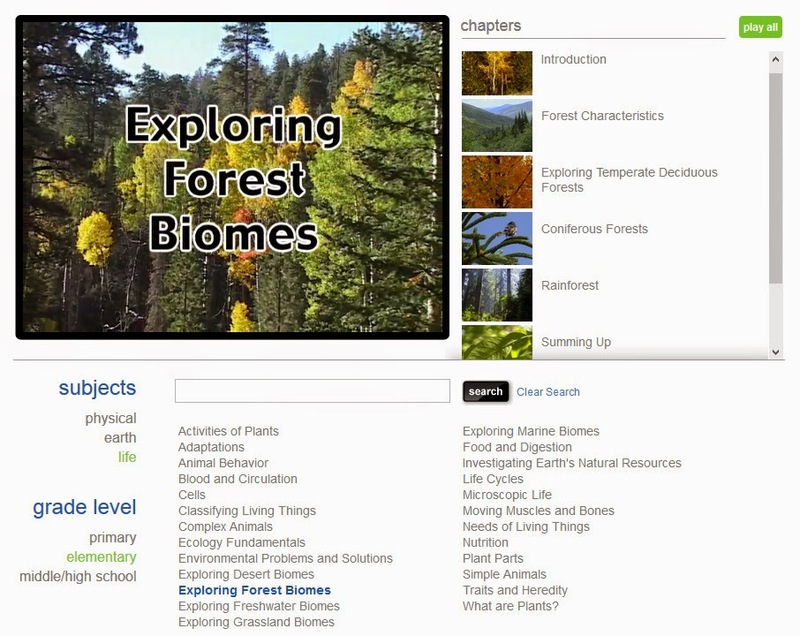 Digital Science Online features engaging videos and teachers guides for primary (K-2), elementary (K-5), and middle/high school (6-12 grade) students, with many lessons covering a wide variety of topics. For this review we were given access to all levels for evaluation, however each level (Elementary (primary and elementary) and Secondary (middle/high school) is sold separately. 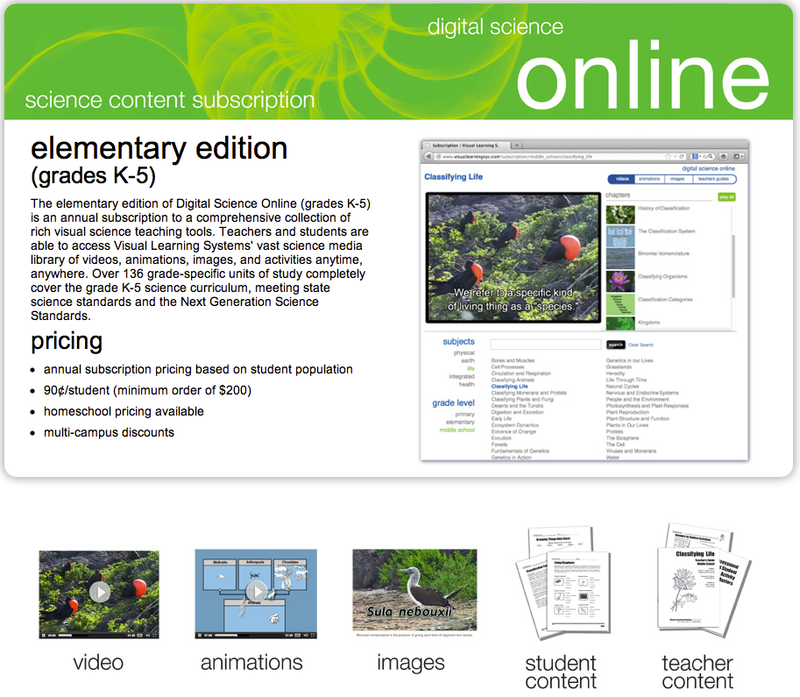 Upon logging in to Digital Science the student is taken to a screen like one of the ones included in the collage above. They then choose a grade level and a subject. After opening the subject of their, or their teacher's, choice they are given lesson topics to choose from. After choosing a topic the student will see a screen giving them a choice of watching an entire video, about 15 minutes long, from introduction to lessons to summary to assessment, or to watch individual parts of the whole lesson. The assessment asks questions about the lesson for the student to answer verbally, more of a self-check or teacher-check than a pass or fail type of assessment. If the student just clicks "play" instead of choosing a chapter they will, by default, watch the whole 15 minute lesson, which is what River did. Watching the individual chapters would be a great way to go back after doing the lesson and reinforce what was learned or hit on areas that were a problem on the assessment. 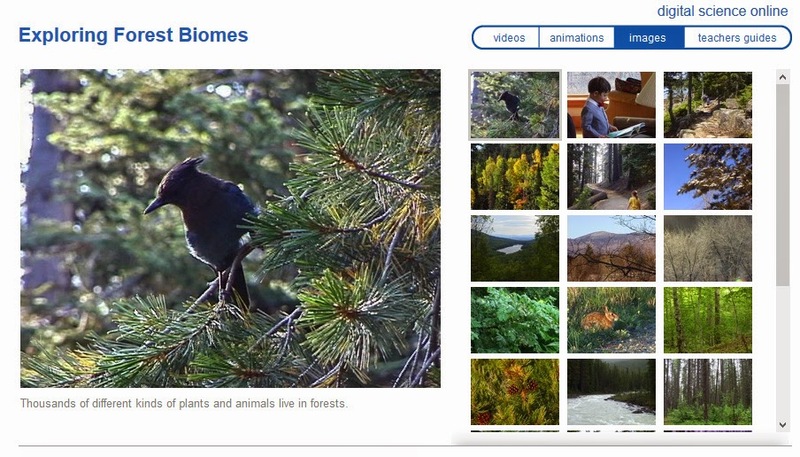 In addition to the lesson animations and images are available to study. The teacher's guide is unique to each lesson and contains aids like student activities/worksheets, lesson plans, and a guide to the video. For the most part I gave River free reign with this program. He stayed within the elementary area and was able to study whatever he chose. While he did do a few of the worksheets and enjoyed them, he preferred to focus on watching the videos and doing the verbal assessment. He did Visual Science three-five days per week, depending mostly on the amount of time we had available to us. Overall, I found Digital Science Online to be a good supplement to River's curriculum. He enjoyed the videos and they kept his interest and focus. There are so many lessons that there's no way we could complete all of them and their worksheets in anything less than a few years. I liked that I could let him largely do this on his own and that he could check himself with the assessment. I also appreciated how easy it was to use the program - it made sense from the get-go and, if it hadn't there are very helpful tutorial videos available. I would have appreciated a way to track which lessons River had already completed. On occasion neither of us were sure what lesson was next in line for him or which he'd already done. River really likes Digital Science and is looking forward to continuing with the program. He likes the clear, beautiful videos and finds them very easy to follow and learn from. His favorite lessons were the ones in life science about animals. Kaden, who was not a part of this review because he already has a full science curriculum, thinks the the videos are very interesting and much more fun than his regular schoolwork. Far too often he can be found watching with River instead of doing math or creative writing. Stinker. Visual Learning Systems Digital Science primary and secondary levels are available for classroom use. Additionally, a homeschool edition is available for $99 per year and is available for either elementary or middle/high school. After you check out the program please come back and tell me what you think!